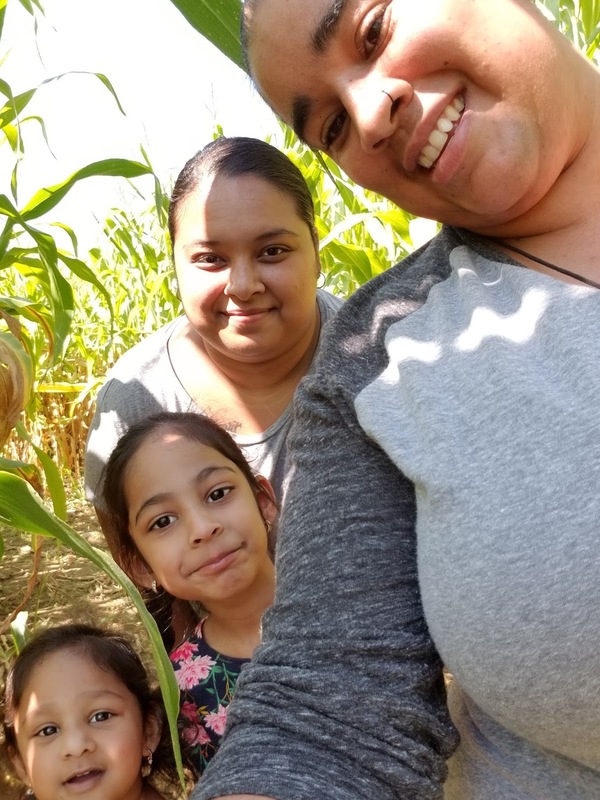 A few of weeks ago, we visited Rochester, NY for a baby shower but we had an opportunity to go apple picking for some yummy Honey Crisps. We also did a corn maze (which we failed at! We were so lost!). It was so much fun and although it was a gazillion degrees out, it was just a reminder that Fall was finally upon us. 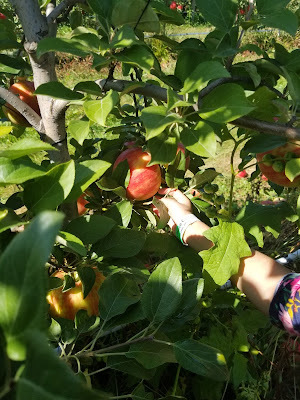 The kids really enjoyed picking apples. In fact, we didn't pick any of the apples but we supervised the ones that they did put into our bag. I even tried apple cider for the first time in my life! I know... how could I have not ever drank one cup of apple cider? But it's true! We also had Apple Donuts and Fried Apple Slices (these were my favorite, in fact, we ate them so fast I didn't get to snap a picture!). 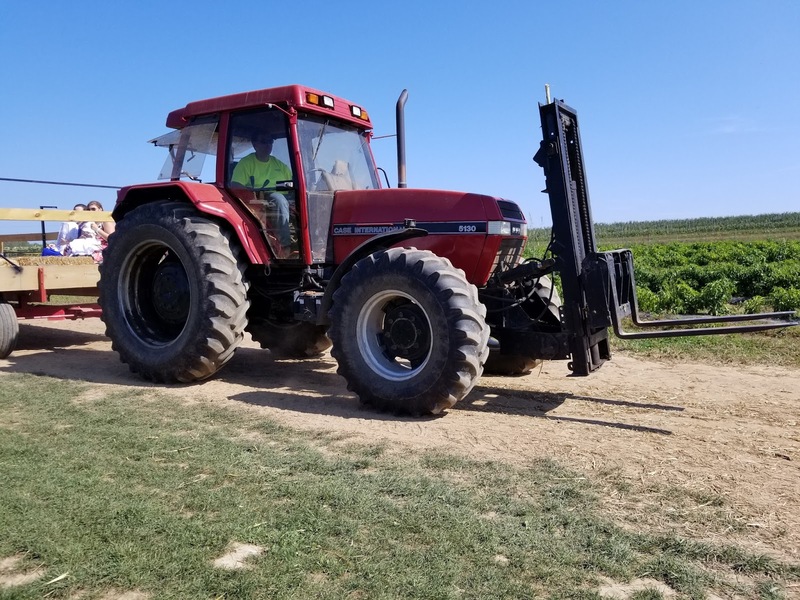 Next on the list is pumpkin picking! We ran out of time and didn't have time do the activities that were there for the kids and to do the pumpkin picking. 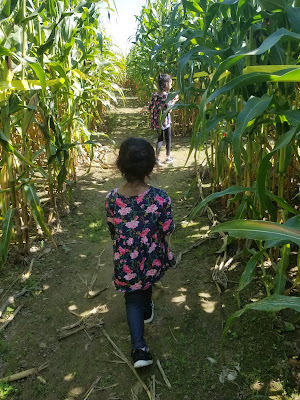 However, if you are ever in Penfield, NY and have kids (or not) you should definitely visit Wickham Farms. The experience was great for us! On a last note, Fall has to be my favorite season of all. The crisp air, the warm blankets and sweaters, the beginning of boots and light jackets, hot chocolate and of course the holidays, Halloween and Thanksgiving! Even though this Fall has been pretty warm even mid-October, it's still awesome to watch the mornings be a little cooler and the nights even cooler. I definitely can't wait for tea and to curl up on a chair with a good book weather! 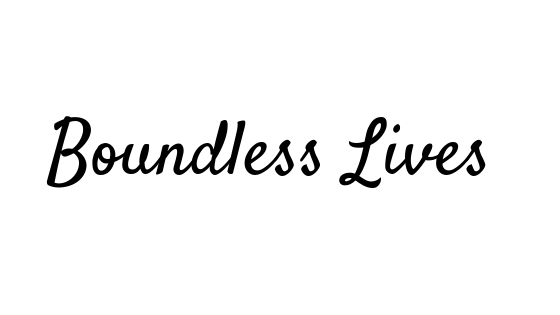 Welcome to Boundless Lives! Where you'll find all the chronicles of my life and my family. 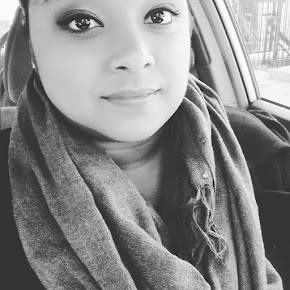 I'm Christina and I'm happy to have you here! Copyright Boundless Lives 2014. Simple theme. Powered by Blogger.